TAYLORS FIRE & RESCUE IS PROUD TO BE AN ISO CLASS 1 RATED FIRE DEPARTMENT. 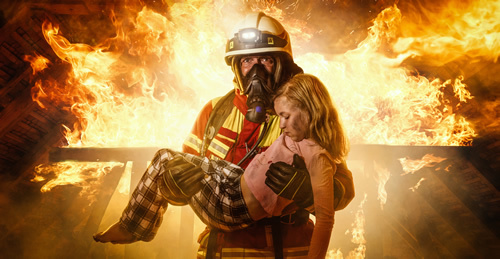 Taylors Fire Rescue is comprised of well-trained, highly qualified employees to provide the community with professional 24 hour protection from the hazards of fire and the potential of fire. In addition, we help protect your health and the area’s environment and, when needed, also provide assistance on a “first responder” basis during medical emergencies. 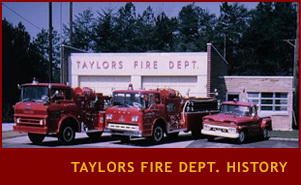 Created as a special purpose district in 1958 by the General Assembly of the State of South Carolina, Taylors Fire Rescue serves a large area, about 16.09 sq. miles, that includes a combination of industrial, business, church, school and residential development. 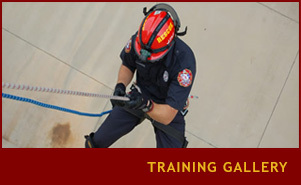 The Primary Mission of the Taylors Fire Department is to provide a Range of Programs Designed to Protect the Lives and Property of the Inhabitants of the Taylors Fire District from the Adverse Effects of Fires, Sudden Medical Emergencies or Exposure to Dangerous Conditions Created by Man or Nature. If you are in our district you may be eligible for a complimentary smoke alarm. Please refer to your tax statement to confirm you are in our district. 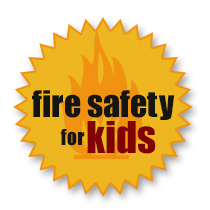 It is important that your child understands what fire is and why it is dangerous. Please review our Fire Safety and Autism page to learn more.